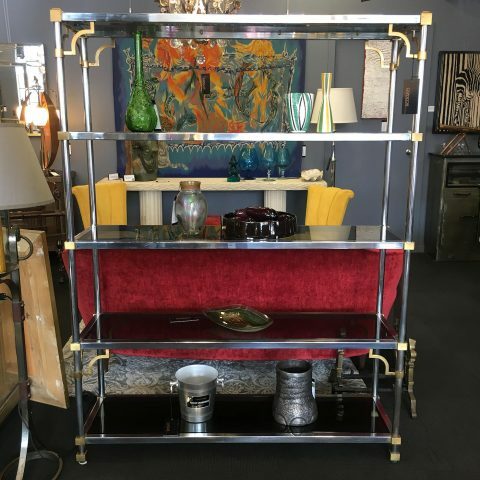 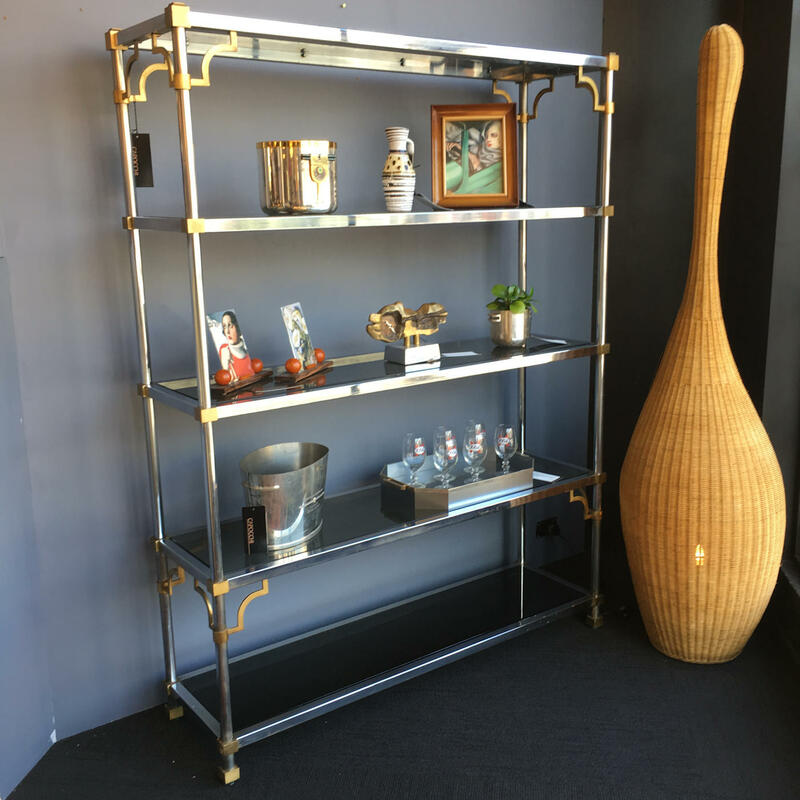 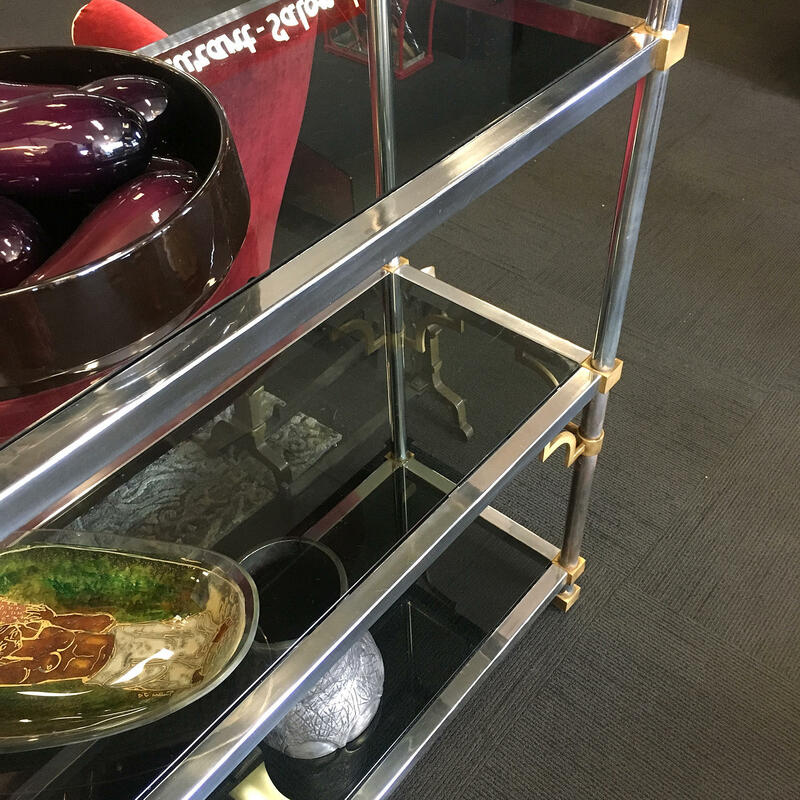 French Brass and Nickle plate shelving unit by Maison Jansen and dating from the 1970s. It is quite rare to find a piece like this in such a large size. 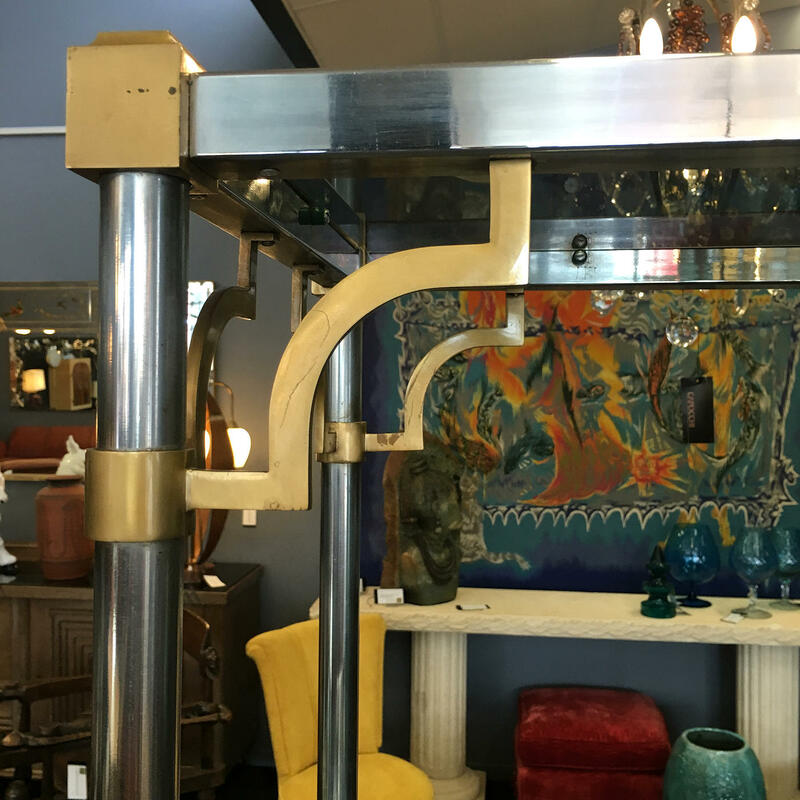 140cm Wide, 41cm Deep, 185cm High.